Starting today, Aug. 11, drivers will have easier access to the SR 167 HOT lanes. 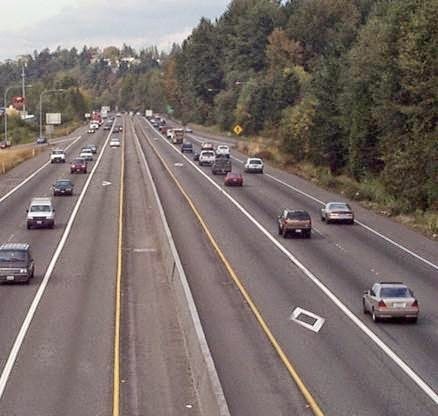 If you’ve traveled the SR 167 corridor, you’ve seen the HOT lanes, which are carpool lanes that solo drivers with a Good To Go! pass can pay a toll to use. Up until now, the lanes have been separated by a double white line, and drivers were only allowed to enter or exit at specific points. Our number one complaint from drivers is that they can’t access the HOT lanes at any point in the lanes. Their access is restricted. You asked, and we listened. Say goodbye to the double white line! Last night, contractor crews began work to remove the double white line and replace it with a single white line. 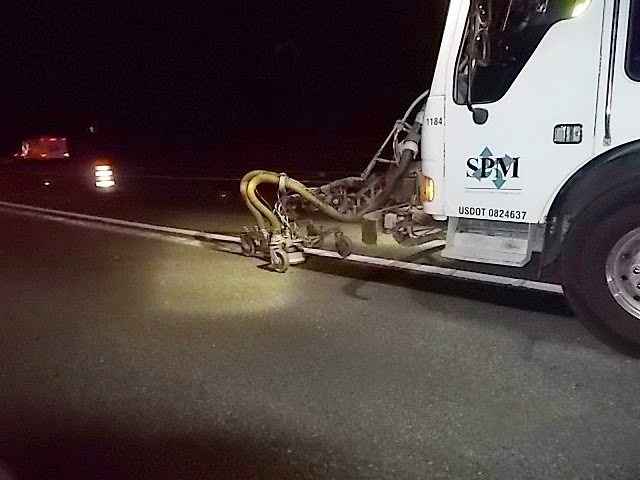 Crews started at the south end of the northbound lanes of SR 167 in Auburn and worked their way north. Starting today, on some sections of northbound SR 167, you'll notice a single white line – which you can cross! One exception, you’ll notice there will still be double white lines at the ends of the HOT lanes to eliminate weaving at these locations. Once the northbound work is complete, crews will switch over to the north end of the southbound lanes in Renton and work their way south. Work is scheduled for Saturday through Thursday nights, with striping during the week of Aug. 10-16, and striping and sign placement Aug. 17-21. Crews have to grind off the inside stripe and paint the dashed segments so that they are solid white lines. This work is weather dependent. In the places where you still see the double white lines, drivers need to continue to obey the law and not cross them. How will we measure the success of this project? 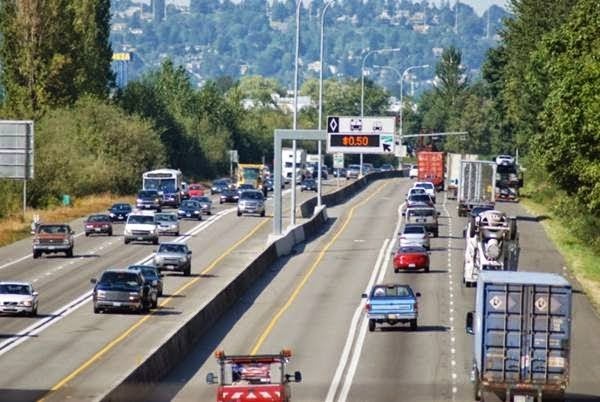 As part of the federal grant we received which paid for the re-striping, we’ve collaborated with the Washington State Transportation Research Center at the University of Washington to create an evaluation plan. We’re collecting data six months before and one year after the changes. We’ll be evaluating the effects of the project on traffic, revenue, usage, safety and customer satisfaction. This entry was posted on Monday, August 11, 2014 at 5:30 AM and is filed under double white line, Good To Go pass, HOT lanes, single line striping, SR 167, SR 167 HOT lanes. You can follow any responses to this entry through the RSS 2.0. You can leave a response.